Expanding from its flagship roastery cafe in Seattle, Starbucks recently announced that it would be rolling out 100 more high-end "tasting room"- style cafes, as a vehicle for its small batch cups of coffee. Leather chairs, gold leaf accents and table service all play into the enriched experience for a $10 cup of Starbucks' special reserve coffee. Not only will these new fancy cafes appeal to the coffee elite, but they will also help Starbucks' bottom line. 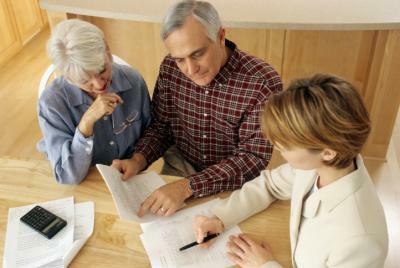 Community bankers may want to take note, as you try to appeal to your largest customer segment - seniors. According to the AARP, more than 67% of US assets are controlled by individuals age 50+, with this group representing more than 67% of all bank deposits. That makes it unarguably one of your most important groups of customers. While marketing to a large portion of this group can be quite challenging, we have some thoughts to help. As the majority of Americans have embraced online and mobile banking, community banks have increasingly shifted marketing efforts away from traditional mediums such as newspapers and magazines to focus on more cost-effective, email-based digital marketing campaigns. The problem is that many seniors tend to shun digital marketing efforts and are extremely protective of their email addresses. As a result, many community banks may not even have email addresses for this key cohort. Pew research finds 41% of adults 65Ys+ still don't use the Internet at all, compared with only 1% of individuals between the ages of 18 and 29. Some of the factors that have kept many seniors from embracing the Internet include: a lack of interest; the fear of having their identities compromised; the expense of owning a computer and having Internet service; and the belief that they are simply too old to learn. Given the large percentage of seniors who remain essentially unreachable through electronic communications, coupled with the general decline in branch banking, community banks will need to be creative to reach this customer base. Returning to old school approaches such as direct mail and targeted advertisements may help to keep your bank's message in the forefront for this group. Other tried and true approaches such as great teller interactions, can also go a long way with this demographic. At the same time, it is important not to assume that everyone in this group is the same so you have to be flexible and adjust as things change. To see where you stand and to avoid making broad assumptions, consider AARP research finds 47% of those 50+ say stereotypes of their generation are inaccurate, and 80% say marketers make big mistakes when trying to appeal to them. Meanwhile, Fed research finds of those who have a mobile phone and a bank account, 18% of Americans 60+ said they used mobile banking in the prior 12 months. While this is less than other age groups, there could be just a few simple reasons. For instance, this group has been banking for decades, so they could simply be using other bank options that they have used and feel comfortable with (so they don't need to learn anything new), they have more time during the day to do banking activities as they are retired (so don't mind doing so at home), their eyes are older (so looking at small screens isn't enjoyable), or they could have a strong existing relationship with bank staff, to name just a few possibilities that jump out at us. Nonetheless, community banks should be mindful of the fact that many people within this age group are quite internet savvy and may even appreciate digital communication over traditional means, so care must be taken. Consider for instance that many customers in this group maintain active lifestyles and travel frequently, meaning they are mobile and use their devices as such. It also means that they are spending more money in retirement than the generations that came before them. Community bankers know their customers perhaps better than anyone else, so our advice is just to keep on top of this and try not to talk for the customer when thinking about their needs. Things are changing and customers are different. In the meantime, the next time we visit Starbucks we are going to look around to see who might be sipping special reserve and what that might mean for community bankers. Yields ended flat as investors absorbed the inauguration. 1) Renasant Bank ($8.5B, MS) will acquire Metropolitan Bank ($1.1B, MS) for about $190mm in stock or about 2.0x tangible book. 2) Fifth Third Bank ($141B, OH) will acquire Retirement Corporation of America (RCA) for an undisclosed sum. RCA is a registered investment adviser providing retirement education & planning nationwide. Part of the reason US Treasury yields have been climbing is driven by sales from China. China has been selling Treasuries to support the Yuan and has reportedly sold about $195B in the 6 months ended Nov 2016. Calculating the value of one's reputation is a difficult thing, but a study by Reputation Dividend found the reputation of S&P 500 companies' accounts for 21% of shareholder value. HomeStreet Bank ($6.2B, WA) has agreed to pay $500,000 to settle SEC charges of improper hedge accounting violations, including unsupported adjustments to effectiveness testing that led to more favorable accounting practice.